Food / Breakfast / Mexico / Eggs. 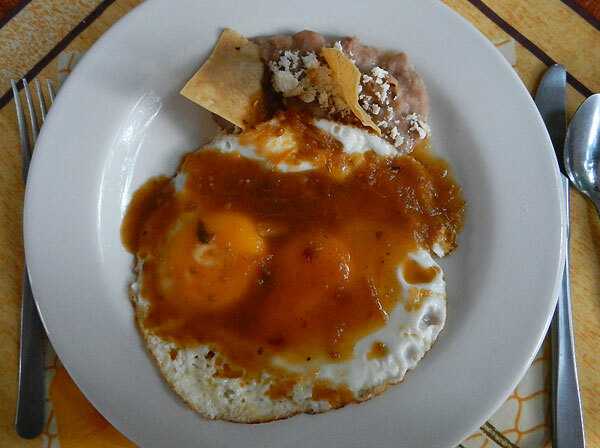 One of the breakfast choices in Mexico is eggs in variety of styles. 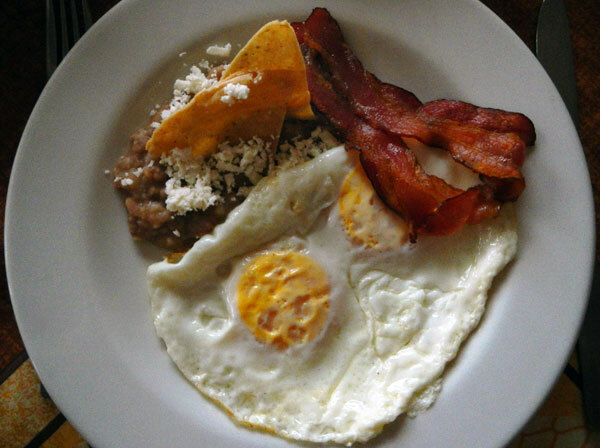 Quiero huevos fritos con tocino, bien cocido, y frijoles refritos. I would like eggs ranch-style. (They are eggs on a tortilla with a salsa picante.) Quiero huevos revueltos con pimientos y cebollas. I want scrambled eggs with peppers and onions. 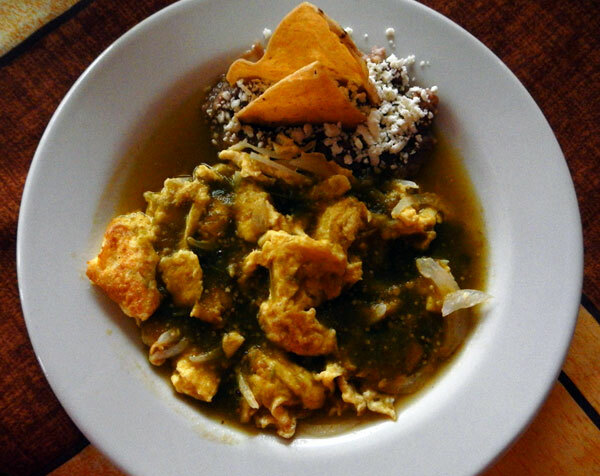 This is served with a lightly spicy sauce and beans, a style known as ‘a la Mexicana’. 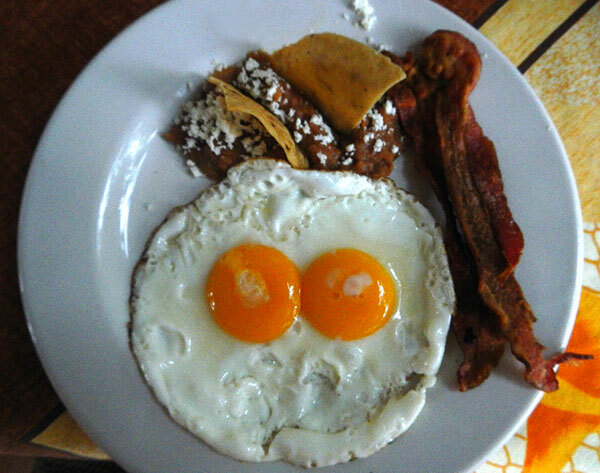 Huevos volteados con tocino y frijoles. Los huevos pueden ser duros, medios o tiernos. Eggs over-easy with bacon and beans. The eggs can be hard, medium or soft. Omelette de hongos, pimientos y queso. 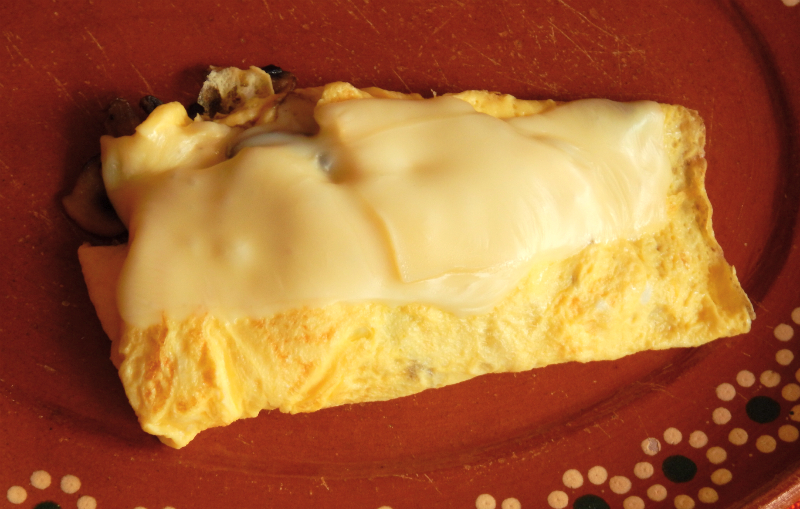 Omelette with mushrooms, peppers and cheese. Me gusta suave (soft), medio (medium), duro (hard). ¿Cómo le gusta el tocino? Me gusta dorado. 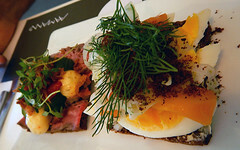 Another breakfast (DESAYUNO) menu. The Huevos al gusto come with bacon, chorizo or ham, or ‘a la mexicana’ which is scrambled with peppers and onions, or ‘naturales’ which is plain. There is also an option for ‘Chilaquiles’ which is layers of cut-up tortillas in a spicy tomato sauce topped with onions and cheese or cream.